When it comes to beauty must haves, it’s sometimes hard to know where to draw the line. A good quality styler or straightener is worth it’s weight in gold, but a hair dryer often gets overlooked. 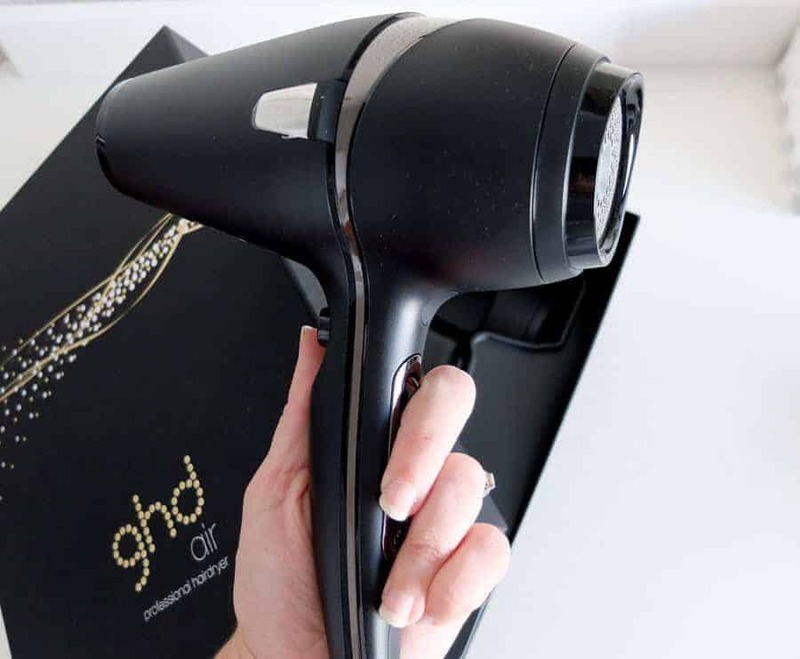 A couple of years ago I switched to a professional hair dryer – one that hair stylists use rather than the mid-range options from Clicks that that I had been favouring for years. I’m no professional, but the time saving alone is worth the extra money. 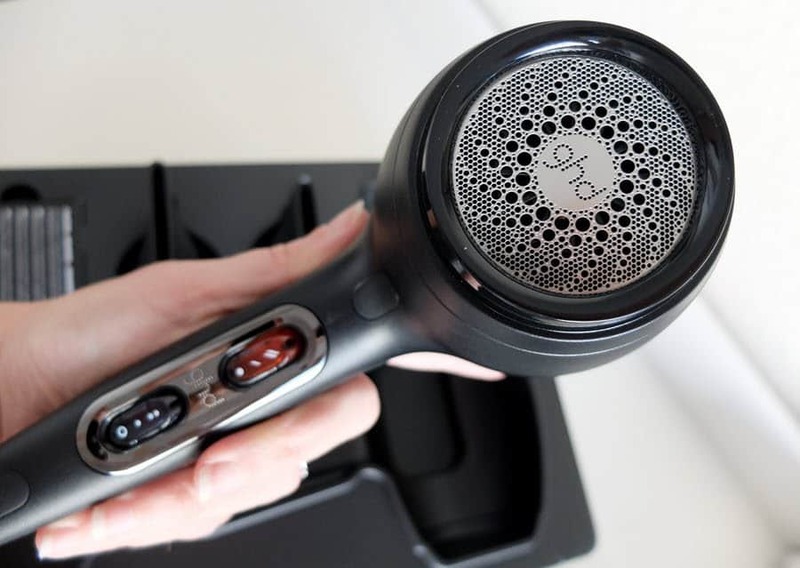 The combination of weight, size and power is really great – it’s a lot more powerful than a regular hairdryer but it’s still light enough to easily manage even if you’re blow drying your own hair. The long cable is GREAT – so much easier to style when you can actually move around a bit. The hair dryer is a lot quieter than other dryers (especially powerful salon dryers). I managed to blow dry my hair while my son had a sleep in my room! And I’m usually done inside of 15 minutes whereas other dryers can take up to 30 minutes. That’s a HUGE plus for me, I don’t have much time to spend on getting ready. My hair feels smoother and softer and looks shinier after drying with the ghd air. The ionic hair dryer tech seems to work it’s magic and after drying my hair looks amazing without too much hard work on my part. 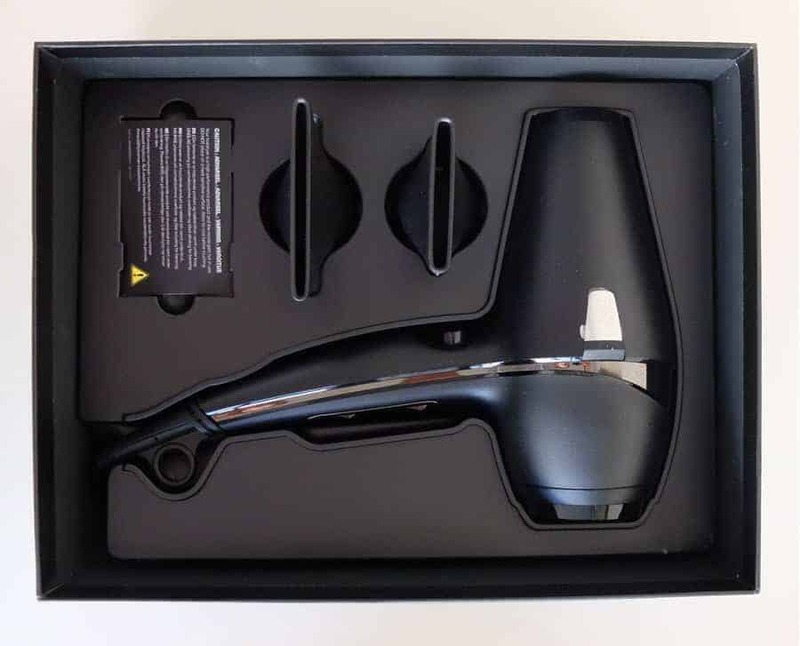 I know this shouldn’t matter as much as it does, but the ghd air is really stunning – matt black with silver accents – this one is a looker! I really like this dryer, it’s the perfect combination of size and power and it works well for my hair. I’m looking forward to getting better acquainted with my ghd air, I think the more I use it, the more I’m going to fall in love!